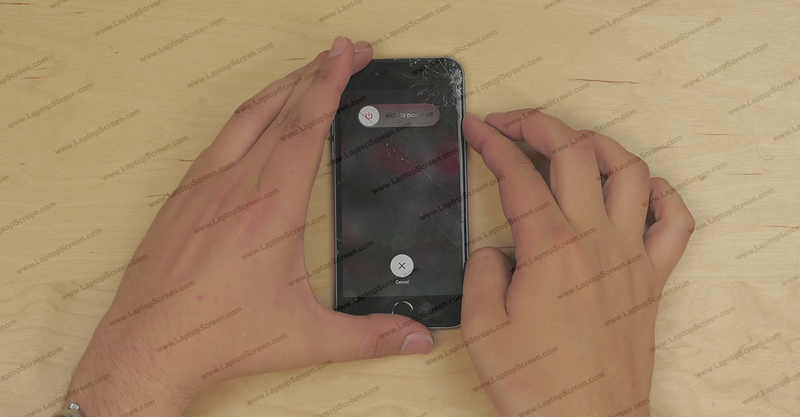 iPhone 6 screen and glass digitizer installation and replacement guide. 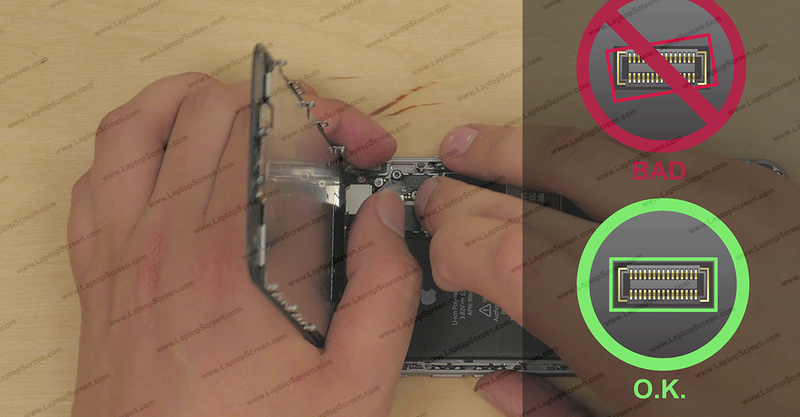 This is a guide on replacing a glass touch screen digitizer and an LCD on the Apple iPhone 6. To begin hold the power button on the side and confirm the shutdown on-screen. 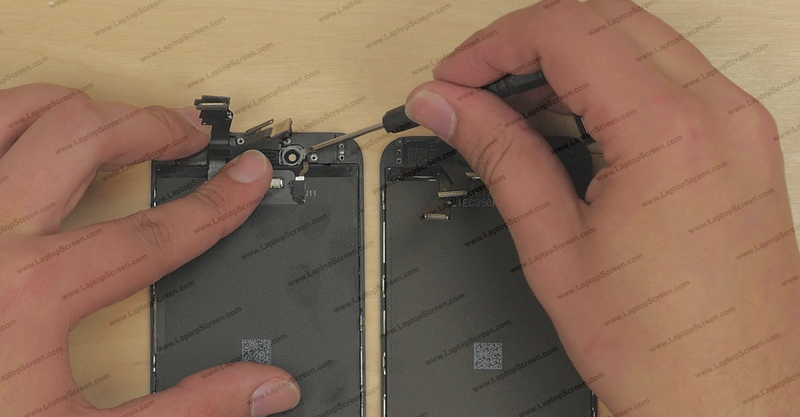 Remove two pentalobe screws, one on each side of the lightning connector. 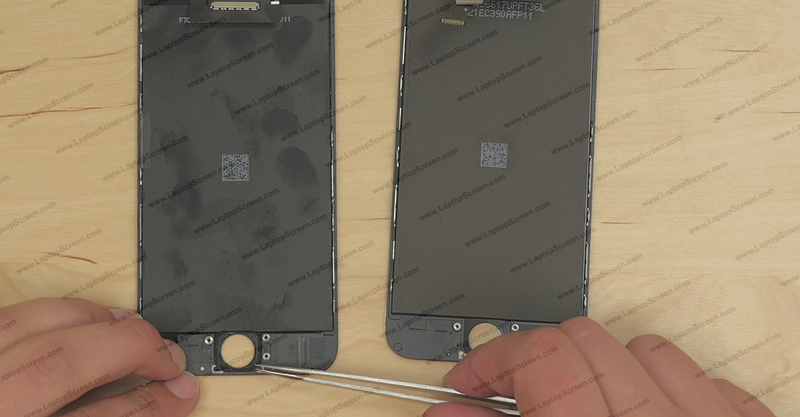 Using a suction cup and a plastic pick separate the screen assembly from the main body at the bottom edge. Remove two phillips screws securing the battery connector plate. Remove the metal plate. Using a flat screw driver (or a plastic pick) pick open the battery connector. Proceed on removing the five phillips screws securing the connector plate. In order to keep track of the different screw placements put all the screws on the desk in the same pattern as they were installed on the phone. Set the connector plate on the desk next to its screws. Using a flat screw driver (or a plastic pick) pick open four connectors from the logic board. 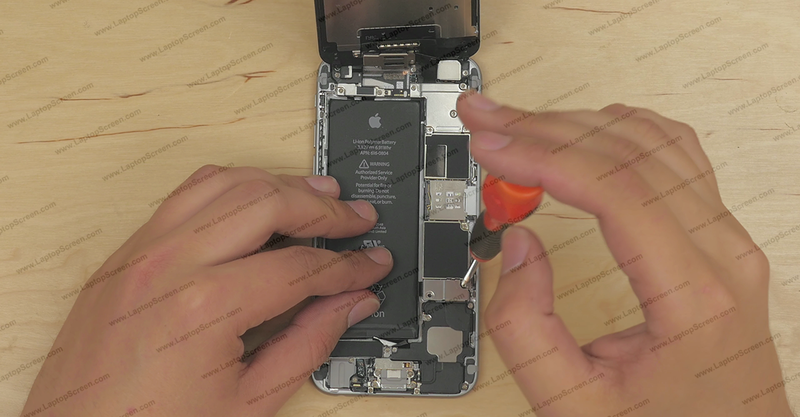 Proceed on removing the home button from the screen assembly. 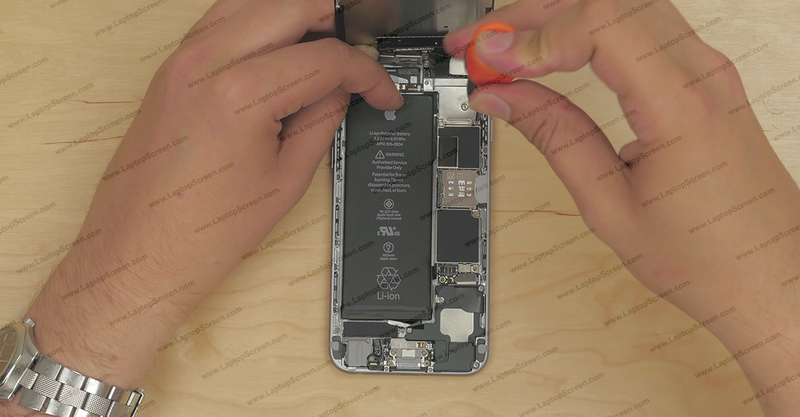 Remove two phillips screws securing the home button plate. Remove the plate. 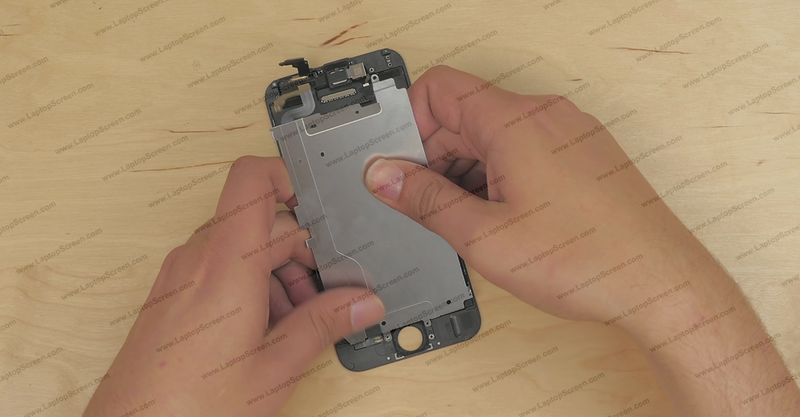 Using a flat screw driver (or a plastic pick) pick open the home button connector. 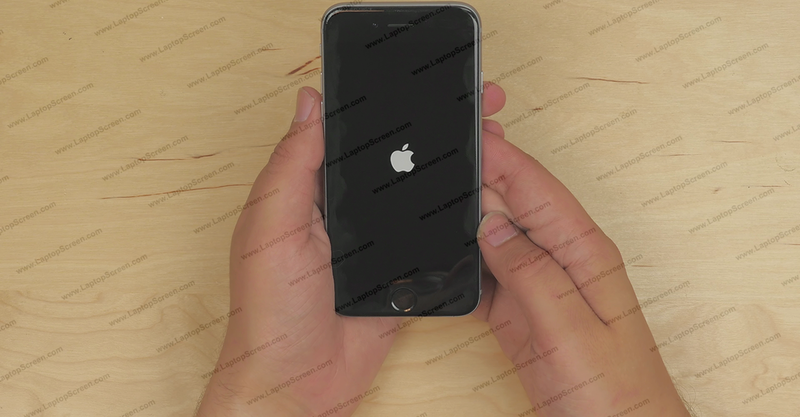 Using a plastic pick slowly push the home button from the front. 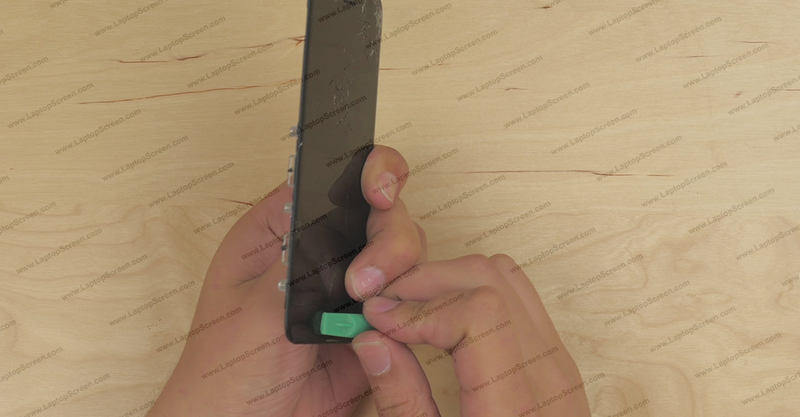 Making sure that the rubber membrane around the button separates evenly and remains with the home button. 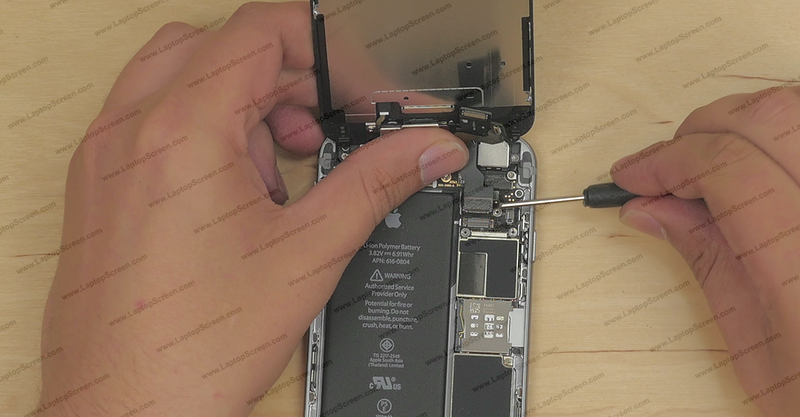 Separate the home button flex cable from the display assembly using an exact-o-knife. 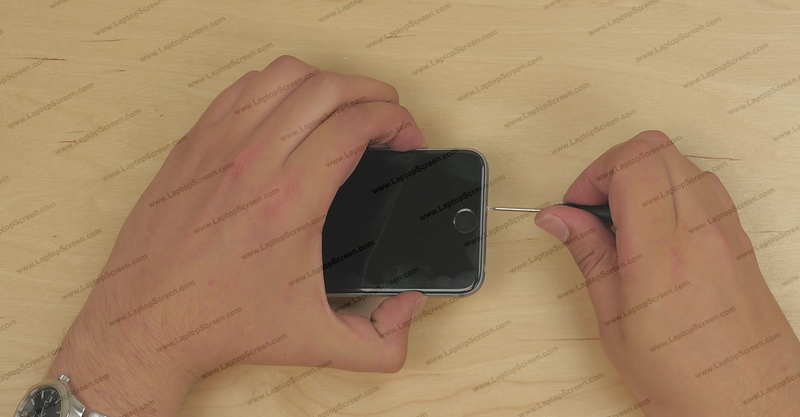 Remove the home button with its cable attached and set it aside. Proceed on removing the three phillips screws securing the camera bracket. Make sure to lay the screws on the table int he same pattern as they were installed on the device. Set the camera bracket aside. 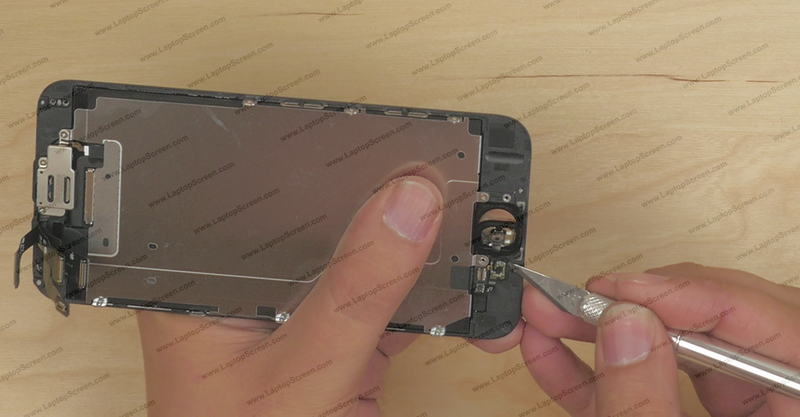 Remove six tiny phillips screws securing the large metal plate, 3 on each side of the screen assembly. 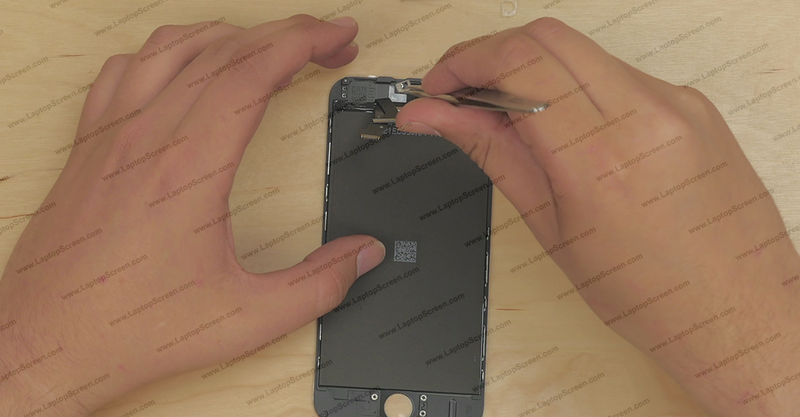 Remove the last phillips screw near the home button opening. 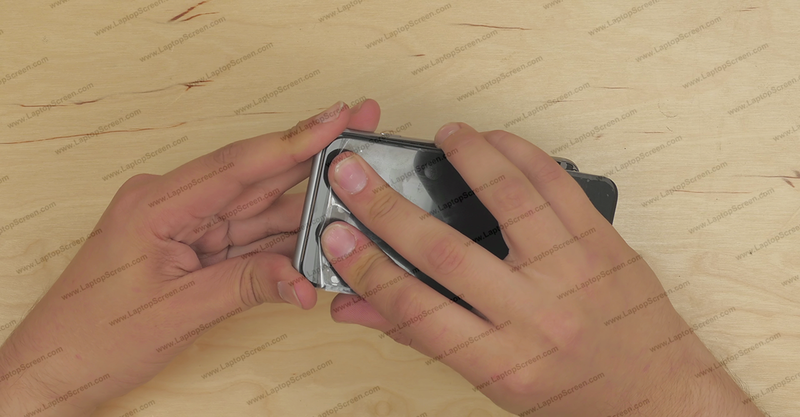 Gently separate the metal plate, taking extra caution where the home button cable is glued onto the display assembly near the home button opening. 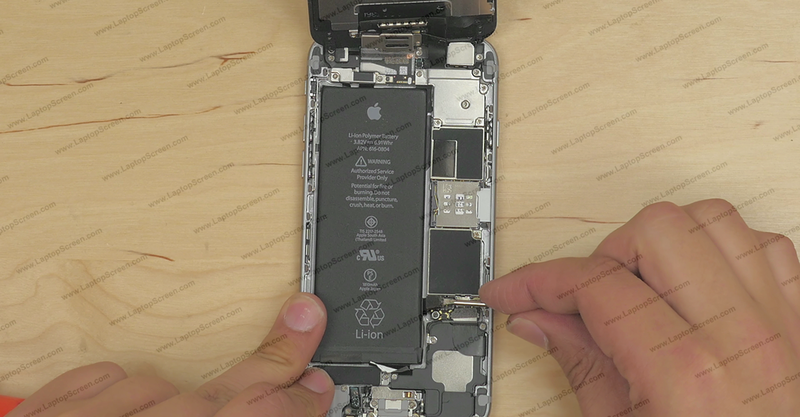 Lift the front camera on its flex cable and remove the speaker box underneath. 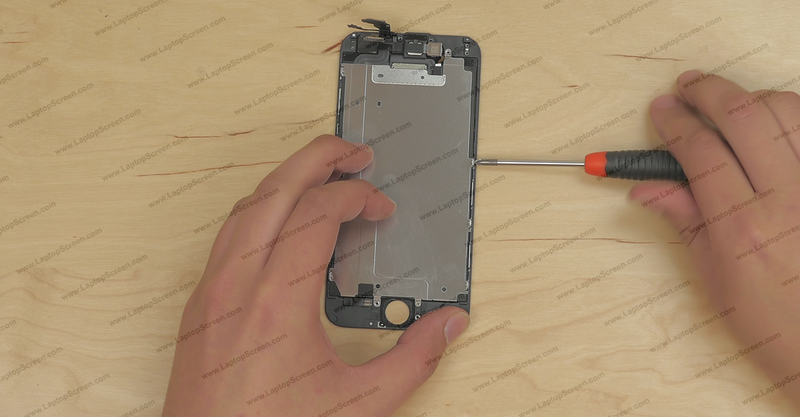 Using a flat screwdriver gently pick out the clear camera positioning plastic. 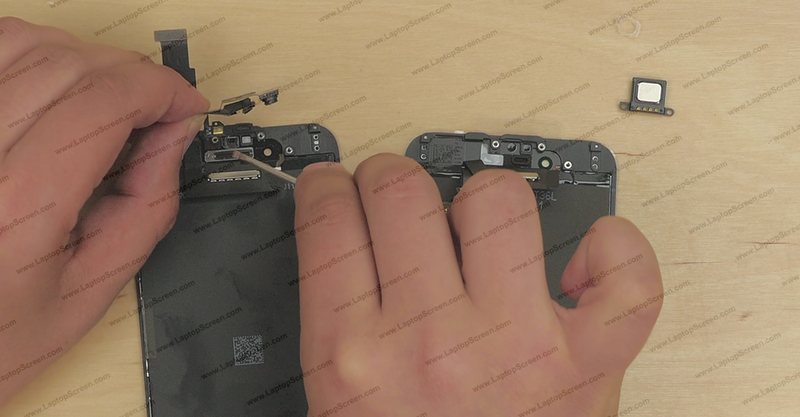 Using a flat screwdriver carefully separate the camera and sensors garland from the old screen assembly. Using an exact-o-knife separate the square plastic bracket. 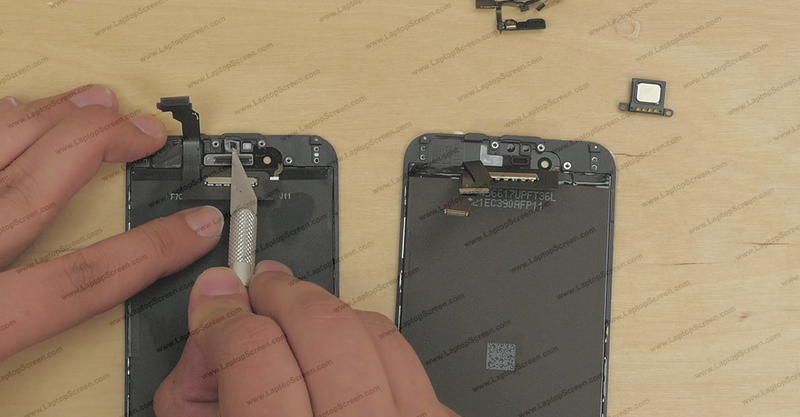 Using tweezers transfer the rubber screw dampeners from near the home button opening onto the new screen assembly. Replace the clear mounting brackets in the new display assembly. Replace the camera and sensors garland onto the new assembly, making sure that all the sensors align with their respective placements. 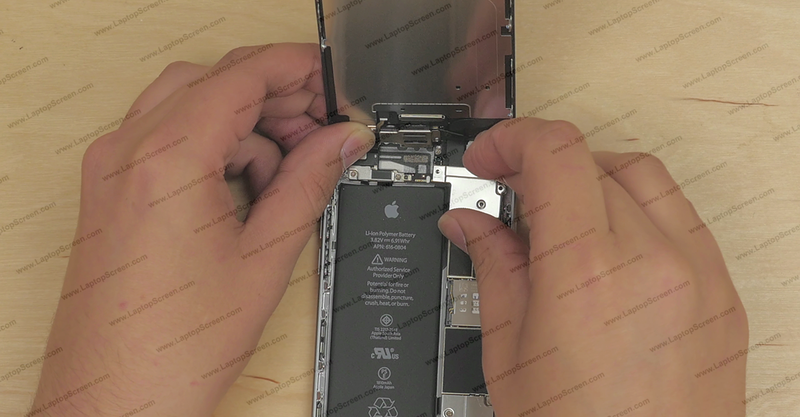 Replace the large metal plate, making sure that the home button cable is fitted underneath the camera flex cable. Secure the six tiny phillips screws, 3 on each side of the large metal plate. Replace the top camera bracket. Secure it with three phillips screws. 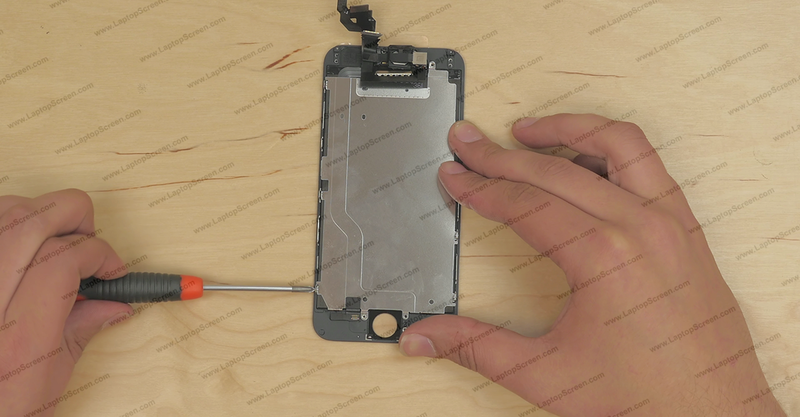 Align the home button connector with its correct placement on the display assembly. 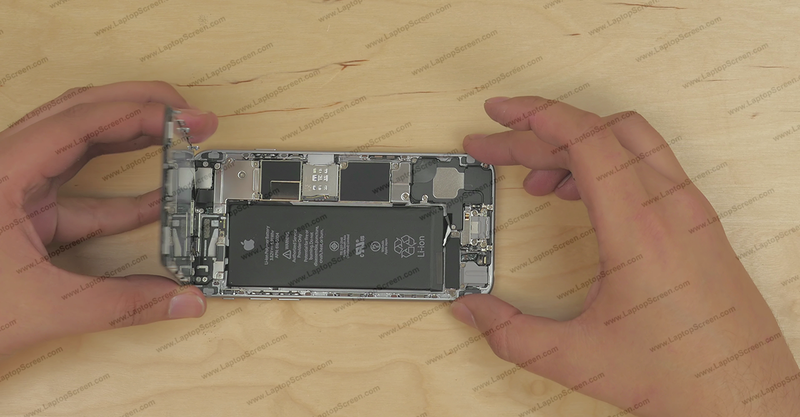 Replace the home button. Close the home button connector. 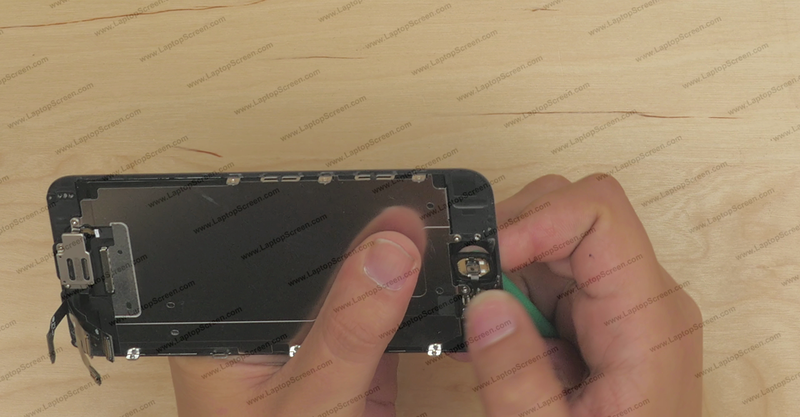 Replace the metal plate over the home button and secure it with two phillips screws. Begin reconnecting the display assembly to the main body. Align the connectors one and close them by one carefully pressing down. Make sure to properly align each connect, it makes a distinct click when connected properly. Be very careful on this step - all connectors are extremely fragile. Replace the connector plate and secure it with five phillips screws. Replace the metal plate and secure it with two phillips screws. 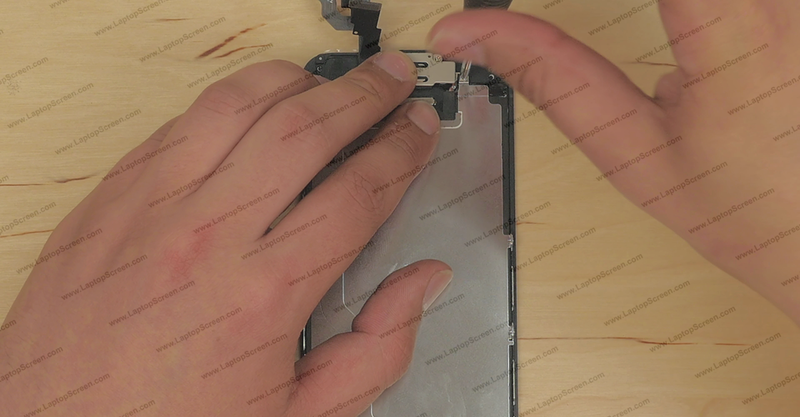 Proceed on closing the display assembly - ensure that the top edge is properly fitted into its groove. 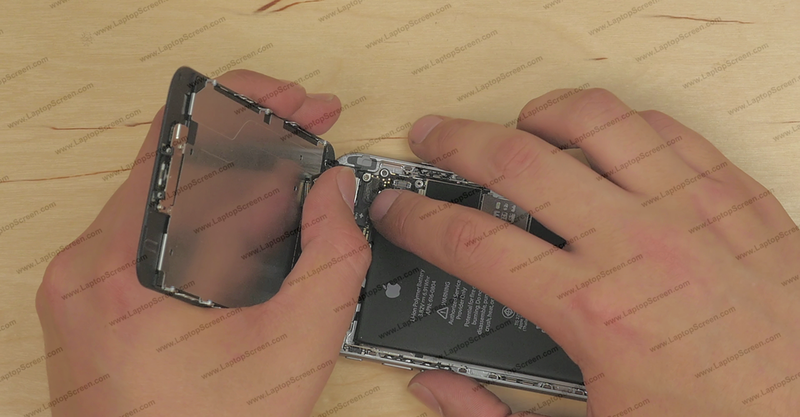 Apply even pressure all around the perimeter of the device to firmly span the display assembly back in place. Replace the two pentalobe screws - one on each side of the lighting connector. Turn the phone on, and you’re done!